In our third generation and with over 140 years of combined roofing experience, our roofing specialists know which roofing systems have stood the test of time and have the technical expertise to install the best roofing systems to protect your home or business. From repairs to replacement to regular maintenance, you can count on our highly trained and skilled team members to provide you the best quality, service, and value. 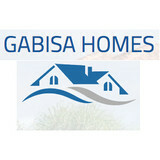 We believe that you deserve the best value for your investment. Dollar for dollar, the best value is to have a roofing system that protects your home from its natural enemies; wind, rain, hail, thunderstorms and heat; provides you trouble free protection; and outlasts any other roof. Our Roofing Specialist will meet with you to evaluate your roof and design the best roofing solution for you. There are many factors to consider and our Roofing Specialist will take the time necessary to explain our different options so that you can choose the option that best meets your expectations, budget and needs. Our Roofing Specialist will teach you the pros and cons of different materials and systems so that you can make an informed decision about your investment. Whether your roof is tile, shingle, or flat, Kirkey Roofing provides you with the highest level of customer care and your satisfaction is always guaranteed. Mark Kaufman Roofing is a Owen's Corning Platinum Preferred Contractor. We provide free estimates for reroofs & repairs for shingle, tile, metal, flat, TPO, cedar and shake roof systems. 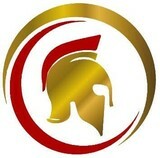 We also do roof cleaning & coating, gutter protection and roof inspections. We have received back to back Angie's List Super Service Awards and have been inducted into REMODELING's Big 50. 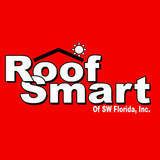 What do roofing companies in Naples Park, FL do? Your Naples Park, FL roofing contractor can install a new roof or repair an old one, as well as repair and replace gutters. Good roofers in Naples Park, FL should be able to promptly inspect roofs and gutters to assess damage after a natural disaster or other event, and give you an estimate for the necessary roof repair immediately. Some Naples Park roofing companies specialize in specific types of roofs, such as tile or metal, so make sure the one you are interested in works with the materials you have or desire. 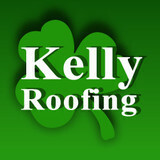 Find a Naples Park roofer on Houzz. Narrow your search in the Professionals section of the website to roofing companies in Naples Park, FL. If you’re planning a large-scale project, find other professionals on Houzz who can help get the job done. Here are some related professionals and vendors to complement the work of roofing & gutters: General Contractors, Specialty Contractors, Siding & Exteriors, Door Sales & Installation, Garage Door Sales & Installation.